Brighten up gardens on dull winter nights with a party on your pathways! Kaleidoscope Path Lights project patterns of light onto paths, drives and walls for practical garden lighting with a more festive effect. 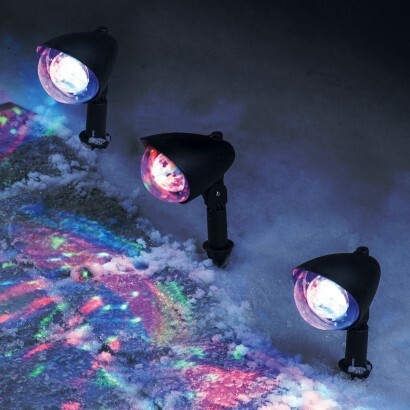 Available with warm white or multi -coloured LEDs, each pack of three lights can be used indoors or outdoors and can either be staked into your garden or placed inside giving 2.4m of illumination and a very pretty sparkling light show. 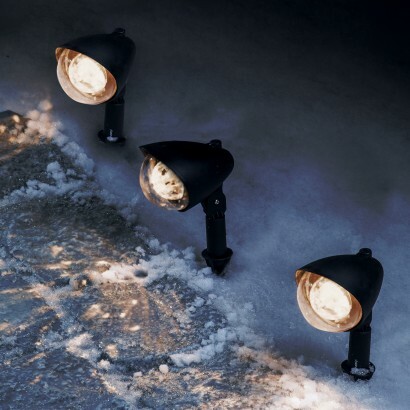 Mains operated, you don't need sunlight to power these decorative path lights making them ideal for use throughout the winter months adding a little extra glitz to your garden! I bought them as a present for my partner. Much more impressive than I expected as I didn't know there'd be moving patterns. Will be great for Christmas.